When it comes to appreciating the finer things in life, the Italians really know how to do it! We’ve teamed up with Peroni to celebrate Australia’s top Italian culinary gurus as they let us in on their favourite local spots for drinks, dining and more. 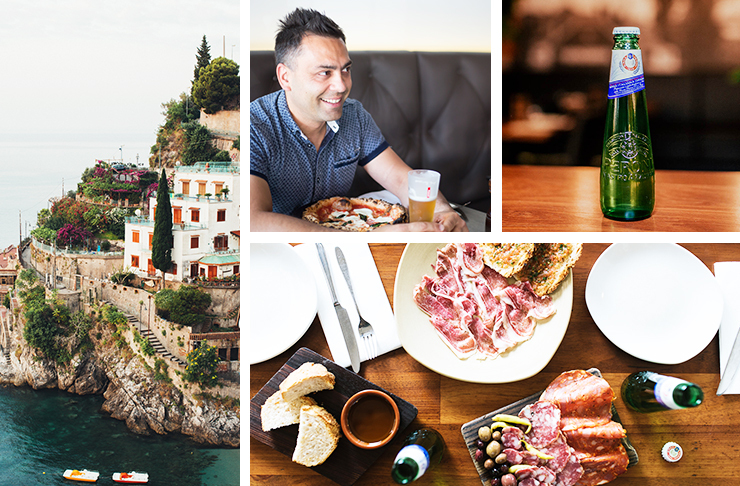 This edition, Johnny di Francesco, the founder of world-renowned pizzeria 400 Gradi takes us on a tour of his favourite spots for eating, drinking, and playing in Italy, including some of the county’s best restaurants and bars. Gradi is synonymous with delicious Italian food the world over. Which is why, when it comes to finding the best food, drink and cultural hot-spots in Italy, we went straight to the source—Johnny di Francesco, the founder and pizza guru behind 400 Gradi, Gradi at Crown, and the newly opened Gradi Essendon, for his top picks for a delicious Italian getaway. Whether you’re planning an Italian getaway, or just keen to learn from one of the masters about what really makes Italy so incredible, read on for some of the best Italian hot-spots to be found in the motherland of pizza, pasta and ice-cold Peroni. 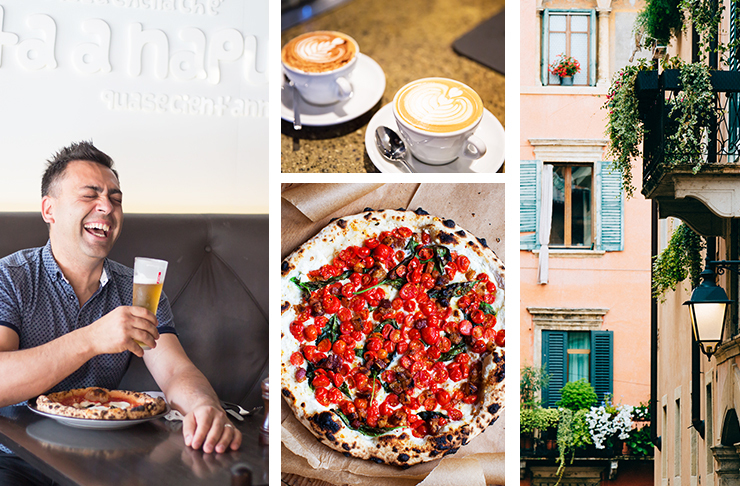 When it comes to summing up Italy, Johnny can only think of one word: Pizza. Situated at the foot of the Cila mountain range in southern Italy, Taverna is a historical city that still contains areas that were built in 400AD. As well as being home to some incredibly well-preserved sights, you will also find one of Johnny di Francesco’s favourite restaurants, Enosteria Lipen, hidden just outside of the Triuggio village area. Excellence Gelato is pretty self-explanatory, even for those of us who don’t speak fluent Italian. Situated in the northerly coastal town of Nervi Genoa, the traditional gelateria makes for the perfect dessert pit-stop. As for why it makes Johnny’s must-visit list? “It may be a tourist central, but I love the town square in Amalfi,” says Johnny about the coastal hot-spot that’s home to some of the most beautiful beaches in the world. If you can’t stand waiting in line, Pizzeria al 22 is your slice-serving saviour. The petite Naples restaurant is off the beaten track, making it a favourite with locals and more in-the-know travellers alike. The food is also 100% authentic, making for a truly locals-only experience. Want more? Johnny shares some local Italian inspiration with his top Italian-Australian finds. We’re incredibly excited to be working with Peroni to introduce you to our Persona: Peroni personalities and their favourite hot-spots around the country. Li amiamo, Australia!